Artistic representations of the human body can be found in nearly every culture in the world, demonstrating the central role the body plays in art. Often viewed as a contested terrain, on which struggles over control and resistance are fought out in contemporary societies, the body of another can also be seen as a tool: utilized to fulfil one’s desires and motives. Brush is a participatory art installation & performance that questions the influence external agents such as political entities, galleries, and private collectors, have on artists and their art. 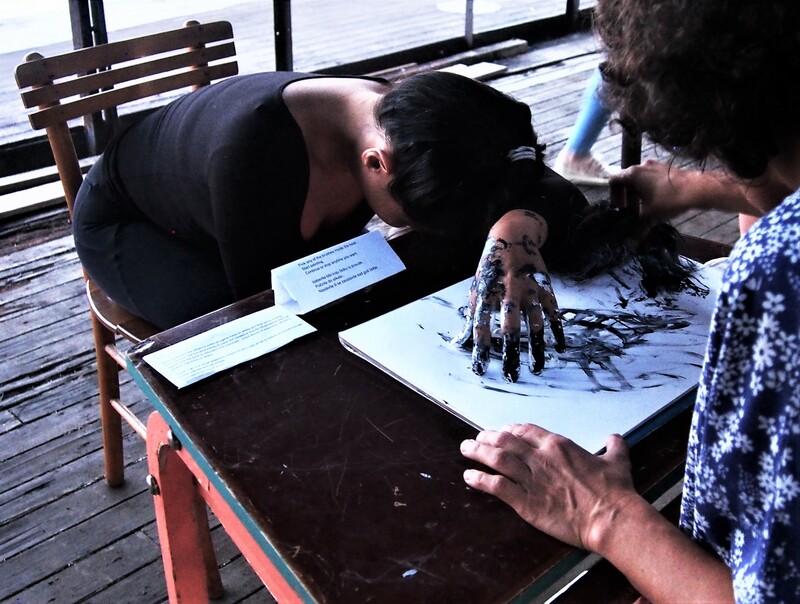 By inviting participants to use the artist’s body to paint, the paintings created are directly influenced by external agents, and the artist is reduced to the inanimate – a performative instrument devoid of autonomy, utilized to achieve objectives of the other. The paintings were produced in-situ during the performance. Materials used are acrylic paint on paper, body and time. First performed at Bodyfront Belgrade, Inspiring Change Artist residency showcase, Društveni centar NNK, Belgrade, Serbia.